Paracetamol (Pamol, Panadol) is the most commonly used medicine in New Zealand for children when they have pain or feel miserable with a fever. Check out some important advice and tips to help you use it safely and avoid some of the common mistakes. Developed by the Health Navigator NZ team with support from Pharmac. Always measure doses exactly. Ask your pharmacist or nurse for an oral syringe - to give your child medicine by mouth. Does my child need paracetamol? How long does it take liquid paracetamol to work in children? It varies between individuals but paracetamol seems to have the maximum effect between 1 ½ and 3 hours after you give the dose. Pain levels and temperature may start to come down before this. What is the correct dose of paracetamol? Wait at least 4 hours between doses - give no more than 4 times in 24 hours. Where should I keep paracetamol? You might also be interested in the page Medicine safety: Tips for parents. What if my child has too much paracetamol? 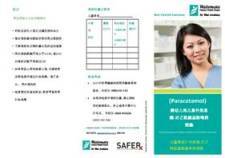 See the Waitemata District Health Board website for paracetamol information in Chinese (PDF, 836KB) and Korean (PDF, 768KB). Medsafe New Zealand Medicines and Medical Devices Safety Authority. 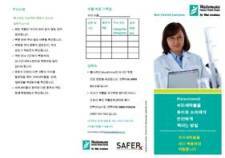 Information for health professionals. Paracetamol - what if my child has too much? Too much paracetamol is one of the most common causes of poisoning in under 5 year olds. Ring the Poisons Centre if you are worried that your child may have swallowed too much of their own medicine, or has swallowed someone else's medicine. This page last reviewed 26 April 2017.